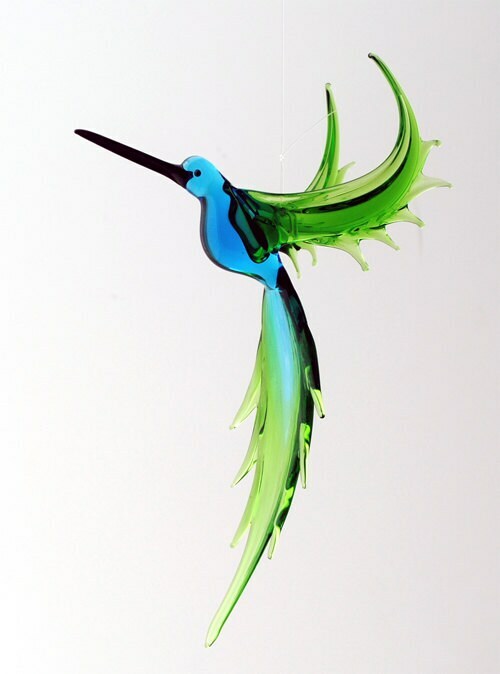 Handmade, lamp worked hummingbird ornament. 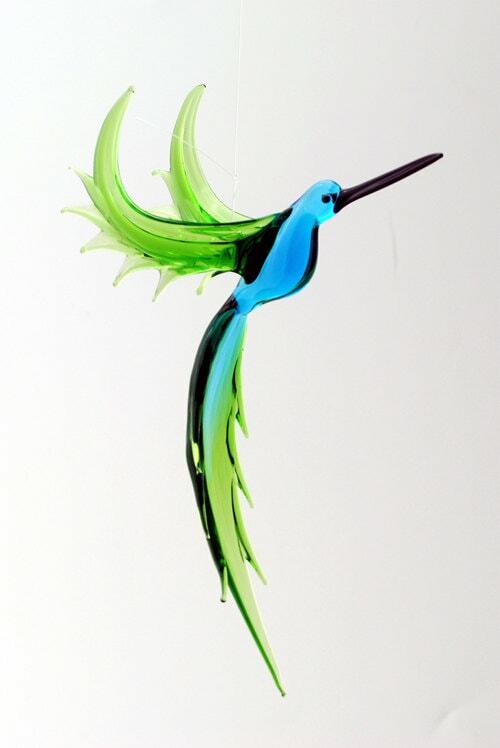 Hummingbird is always made in two colors. The wing and body color are always different but always in harmony with one another. The color combinations shown on photo are only a few of the color combinations we create.